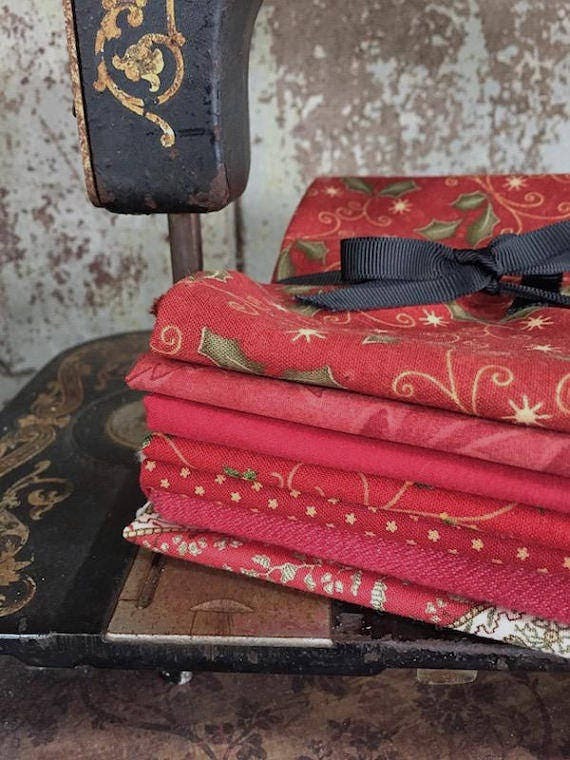 Fat Quarter bundles of 7 festive fabric pieces, called "Christmas"
All are 100% cotton and measure approx. 18" wide and 22" long. Great little Fat Quarter stack for anyone needing a good amount of Christmas reds for their quilt or project! Makes a wonderful gift as well! Great size for a stocking stuffer!